To celebrate the launch of its first-ever PC enclosure, be quiet! 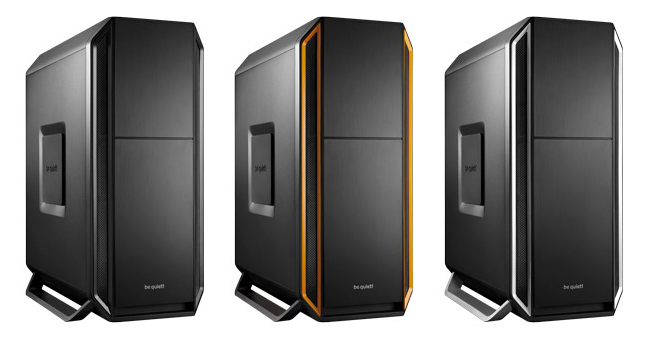 has teamed up with HEXUS to give you the chance of winning one of three Silent Base 800 chassis! That's right, we have an all-black case for our first winner, black-and-orange for the runner-up and black-and-silver for third place. be quiet! Silent Base 800 offers the perfect symbiosis of noise prevention and cooling performance, a good usability and an extensive capacity for high-end hardware. The design team's mission was based on the principle "form follows function", and so every last detail in the Silent Base 800's design has a functional purpose. It is truly a superior case ideal for high-end gaming gear and quiet systems. The case is available in all Black, Black/Orange and Black/Silver. Check out our full review to find out exactly what the Silent Base 800 has in store, then answer the following simple question to enter our free prize draw, and don't forget, you can also claim a second entry via Facebook to increase your chances! The competition winner will be picked at random from all eligible entries that arrive by midnight of the closing date, December 24, 2014. The winners will be notified via email by December 31, 2014. The winner must claim their prize within 7 days of the promoter sending notification. If the prize is unclaimed after this time, HEXUS reserves the right to offer the unclaimed prize to a substitute winner selected in accordance with these rules. The prize is one of three Silent Base 800 chassis. be quiet! is a premium brand manufacturer of power supplies, PC cases and cooling solutions for desktop PCs as well as the consistent PSU market leader in Germany since 2007*. This success is largely because all product conception, design and quality control is done at our German headquarters. be quiet! never releases a product until it meets the highest expectations and all the materials used are tested to rigorous standards. Innovative engineering concepts, premium materials and world-class manufacturing quality make be quiet! products among the most silent, reliable and powerful on the market. Visit bequiet.com for information about the complete product range. Yes, it does look pretty elegant. I'm all for clean lines that don't make vacuuming a priority alongside so-called “awesome” looks. That's a bit of a strange looking case but thanks for the Comp Hexus and Bequiet.